Customers at Universal Cycles on SE Ankeny are greeted with these signs at the checkout counter. 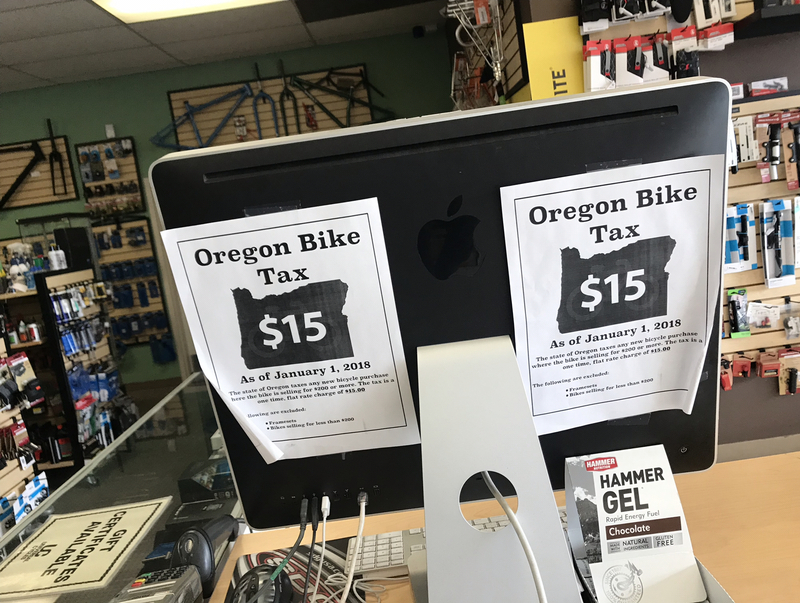 Through three quarters of its first year in existence, Oregon’s $15 bicycle excise tax has added $489,000 into state coffers. That’s a lot lower than state economists expected. Overhead costs are also more than expected and are likely to climb even higher as officials beef up filing enforcement efforts. As OPB reported last week, officials from the Department of Revenue, Oregon Department of Transportation and the Legislative Revenue Office have been updating lawmakers on receipts from the slew of new taxes and fees included in the $5.3 billion transportation package passed in 2017. 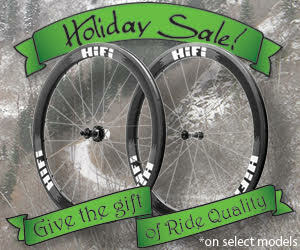 Among them was the infamous $15 tax that applies to every new bicycle valued at $200 or higher sold in Oregon. We’ve railed against the bike tax from a policy perspective in the past. Why on earth would Oregon want to tax a form of transportation that adds such tremendous value to our roads and lives? Given cycling’s return-on-investment, it makes more sense to pay people to ride them than to tack on a clumsy tax. Now it turns out the bike tax isn’t an efficient revenue tool either. Now state officials estimate the bike tax will likely bring in about $900,000 in its first two years. That’s less than half of the $2.1 million they told lawmakers it would bring in every two years. At another committee meeting last week, officials released a chart showing that future year estimates will be even lower. Instead of $2.8 million every biennium, they now expect just $1.1 million. And that’s before subtracting administrative costs. ODOT Economist Daniel Porter told lawmakers that in hindsight, their estimates for the bike tax were, “A real shot in the dark.” He blamed Oregon’s lack of sales tax data and a misunderstanding of the “seasonalities” of new bike sales. So, while the estimated revenue from the tax goes down, it appears as though the amount it takes to collect it will be going up. 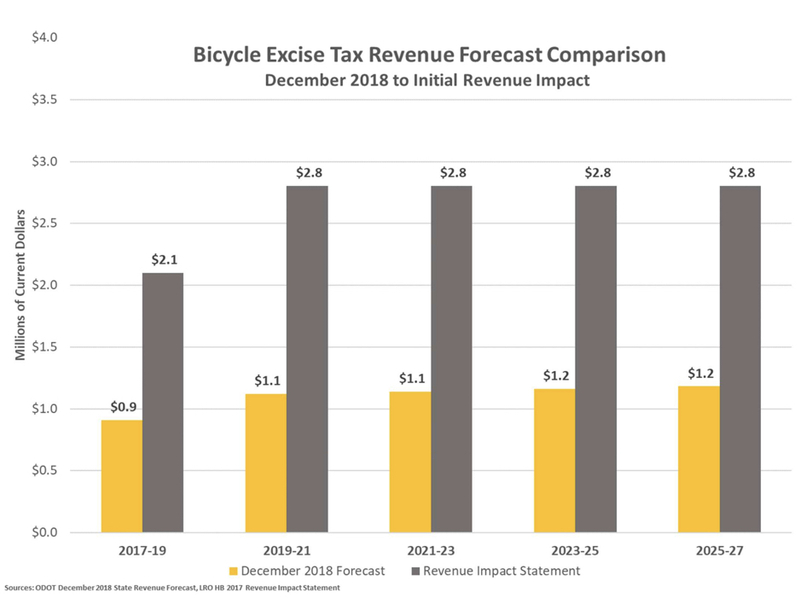 For more on how the bike tax is doing, read the OPB article. 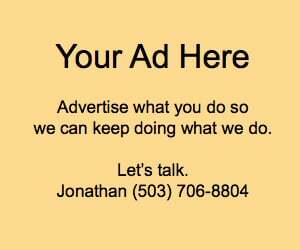 And tune into OPB’s Think Out Loud show today at noon where I’ll be sharing my views as a guest. The post Oregon’s bike tax revenue is far below expectations, while admin overhead is going up appeared first on BikePortland.org.